The Nintendo 3DS messaging services have been terminated. We'll miss you, Nikki. Nintendo's 3DS message relay service, known as Swapnote in the USA and Nintendo Letter Box in other regions, has had its SpotPass functionality disabled abruptly and permanently, essentially terminating the application. Flipnote Studio 3D, which was so far only released in Japan but had been set for a future release in the West, shares the same fate. Nintendo handhelds also do little in the way of sales. Electronic Arts (EA) recent financial report revealed that their games on the Wii and Wii U only make up 1.3% of sales. The 3DS version of Sonic Lost World sold under 5,000 units in its first week in Japan, and the Wii U version didn’t even hit the chart. The Wii U version was well-liked in our review, though the 3DS version didn’t fare quite so well. Is this another nail in the Blue Blur’s coffin, or just a speed bump? Let us know what you think in the comments below! Toon Link and Pikmin are going on some misadventures! Zelda and Pikmin video shorts will be coming to Nintendo Video soon, along with shows from Cartoon Hangover and more. The Zelda show, called The Legend of Zelda: The Misadventures of Link, will be a series of comedic shorts set in the world of Wind Waker HD. Pikmin Nature Documentaries, the show set in the world of Pikmin, is a mock nature show featuring a super-serious, possibly tongue-in-cheek narrator. They weren't kidding about "limited quantities." Every color of Nintendo's new multicolor 3DS XL charge cradles are now completely sold out. The cradles, which became available today on Club Nintendo for 500 coins, sold out within the first hour. Available colors included red, blue, green, yellow and white. This isn't the first time a Club Nintendo reward has sold out very shortly upon release, the Nintendo 3DS Game Card Case recently experienced a similar level of demand. 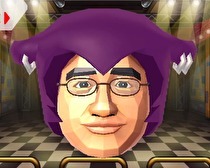 Pudgier Nintendo characters better watch out. The male Wii Fit Trainer will be appearing in Super Smash Bros. for Wii U and possibly 3DS. While the female Wii Fit Trainer has already been confirmed as a playable character, it is not yet known whether the male trainer will be. It is possible he could be a part of a special move, an Assist Trophy, a costume change for the Female Trainer, or even just appear in another aspect of the game. Forget that gym membership, Wii Fit U has a free trial! Wii Fit U is finally here to help you drop some pounds before the culinary onslaught that is American Thanksgiving! The best part: there’s a free trial version. This week we also got some Virtual Console love with one of the best Castlevania games under the sun and one of the most frustrating NES games ever made. Not to mention quite a slew of retail releases, so there should be something for everyone this time around. Just dance or swap your boredom away. 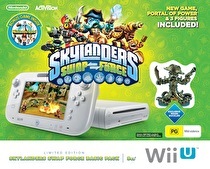 Nintendo Australia has announced two brand new Wii U bundles for the holiday season. A Link Between Worlds demands a glorious golden chariot! The special edition Triforce 3DS XL releasing next month in PAL regions has also been confirmed for a North American release. Pre-packed with an eShop download code to get the digital version of A Link Between Worlds, the gorgeous handheld features a two-toned golden top half with Hyrule's Triforce, while the bottom half features a black shell with the upside down Triforce found in Lorule. The Wii outsold the Wii U worldwide over the past six months. Down is up; up is down. Nintendo expects Wii U system sales to total 9 million over the 2014 fiscal year, which runs from April 1, 2013 to March 31, 2014. With sales only totaling 460,000 in the first half of the year, that means from October 1 to March 31, more than 8.5 million Wii Us must be sold to reach the company's expectations. All eight of these remade classics can be yours before the end of the year. The Sega 3D Classic titles are coming to North America and Europe in November and December for $5.99/€4.99/£4.49 in their respective territories. 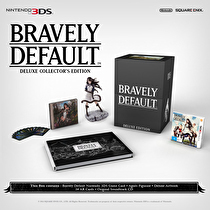 The special edition of the game comes with all kinds of goodies. The game is available, but it still has a downside. 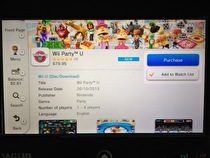 Wii Party U, which was recently revealed to not be receiving a digital version on the Nintendo eShop in North America and Europe, is available on the eShop in Australia. The game is being sold for the full price of $79.95, which is the same price for the physical version of the game that comes bundled with a Wii Remote Plus controller. Well, not an official one. A rumor for a Luigi 2DS we reported on earlier this week has been debunked. The rumored 2DS in question was actually made by Matthew Wiggins. He made it for his website Rose Colored Gaming, where he customizes and sells modified game systems and accessories, mainly for Nintendo handhelds. The news that it was only a custom came from the YouTube video from Wes De of Second Opinion Games. Get ready for a deluge of rhythmical information...and vocaloid Iwata. Violating Nintendo's terms and conditions can result in the deletion of games. Nintendo has the ability to remotely access hardware and remove content that is in violation of its terms and conditions, a Nintendo gamer found out the hard way. Natsume lands this game, hook, line and sinker. 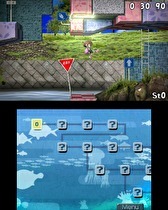 Natsume is bringing the latest entry of the long-running Umihara Kawase series to North America in 2014. An update for Pokémon X and Y is now live on the eShop. The patch, version 1.1, should fix the glitch some players received when trying to save in Lumiose City and prevents an error when using the GTS. Genesect and the Legend Awakened: gotta catch it at Hoyts Cinema! On November 16 and 17, Hoyts Cinema and Australian distributor Beyond Home Entertainment are teaming up to present Aussie Poké-fans with a special Pokémon movie event in anticipation of the DVD release of Genesect and the Legend Awakened. Five different colors will be available. Don't make me choose! Five different colored 3DS XL Charging Cradles will be offered as North American Club Nintendo rewards starting on October 31. Each one will cost 500 Coins and all will be available in limited quantities. The Charging Cradles will be offered in Red, Blue, Green, Yellow, and White. Are you interested in this reward? Do you think they cost too much, or is the price just right? Let us hear about it in the comments section below.